Interest in a Staffordshire company’s innovative Augmented Reality products and services has hit new heights following their appearance at the county’s premier business show. Award winning Enlighten were in the spotlight at the Staffordshire Chambers of Commerce Let’s Do Business Show as part of a creative industries showcase organised by the Factory programme. As a result of connections made at the business expo, they have now signed a contract, worth tens of thousands of pounds, and have many more leads to follow up. Let’s Do Business is an annual county wide exhibition held at Uttoxeter Racecourse. It sees businesses from across Staffordshire come together to network, make new connections, attend business growth seminars and, ultimately, do business. 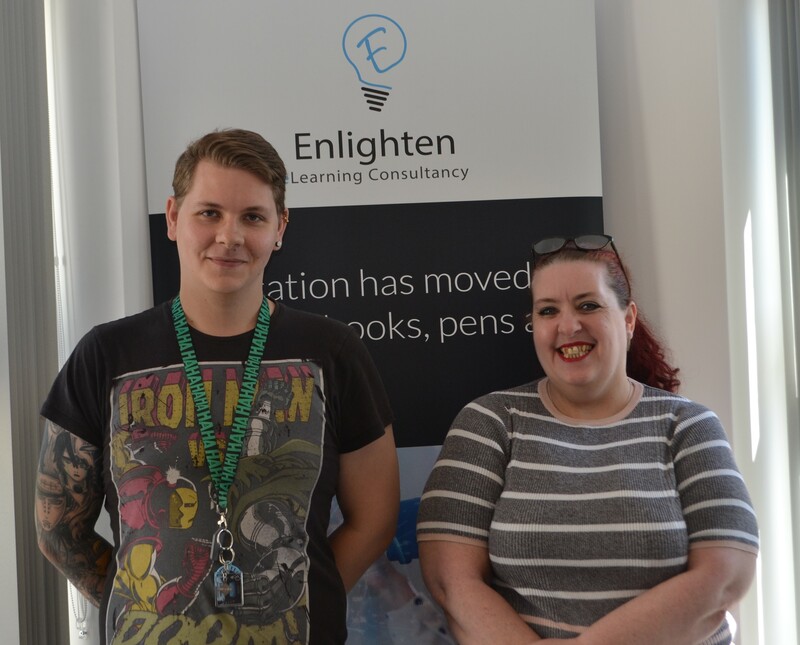 Enlighten, of Tamworth, recently won the Most Promising New Start Up category at the 2017 Staffordshire Chambers of Commerce Awards. They were joined by content developer Billy Joseph in September, and, with the increased demand for their services, they will need to expand further in the not too distant future. The business is currently working on interactive, Augmented Reality maps to help showcase town centres to visitors. People will be able to use the maps to get information about where to eat, shop and park. Enlighten has received support from the Factory programme, which supports creative businesses. It is delivered by Stoke-on-Trent City Council in partnership with Staffordshire Chambers of Commerce and Staffordshire University. 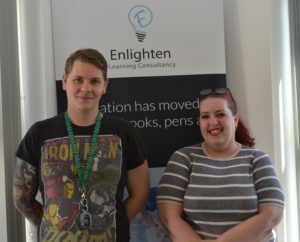 Programme manager Marc Wootton provided business support for Enlighten through the Factory project as a delivery partner for the Chamber of Commerce Mentoring and Growth teams.